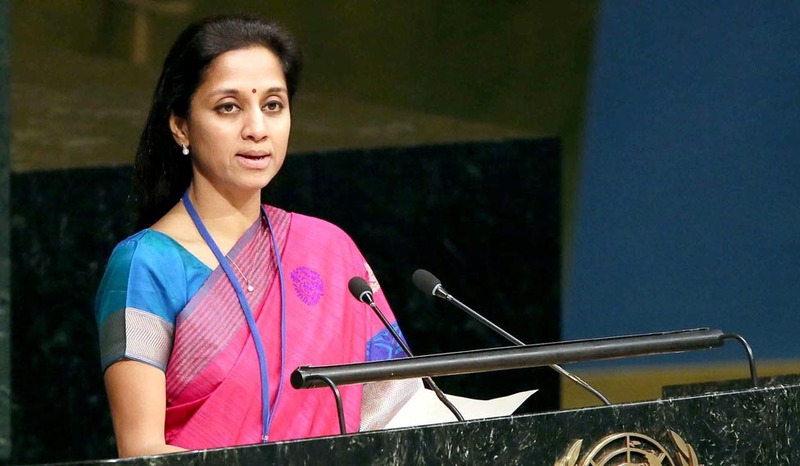 A private members bill, Right to Disconnect Bill was introduced in the Lok Sabha by MP Supriya Sule. The bill aims to reduce work-related stress and strive for a better work-life balance. The bill empowers the employee with the right to not respond to employers’ calls, text or emails after office hours. The bill applies to companies with more than 10 employees. The Women of India Organic Festival has been organised by the Ministry of Women and Child Development at Leisure Valley, Sector-10, Chandigarh, to celebrate and promote women farmers and entrepreneurs in the organic sector from the remotest parts of India. The Festival is being held annually since 2015 and for the first time, it is being held in Chandigarh. Finance Minister Shri Arun Jaitley and Union Minority Affairs Minister Shri Mukhtar Abbas Naqvi inaugurated Hunar Haat exhibitions in New Delhi. Hunar Haat plays an important role in national and international branding of the heritage of master artisans in India. Hunar Haat is aimed at “Development with Dignity” of the artisans and craftsmen from the minority communities. Hunar Haat exhibitions are organised by the Ministry of Minority affairs under its USTAAD scheme. Renowned writer Namita Gokhale was awarded Sushila Devi Literature Award for her work “Things to Leave Behind”. She was honoured in the ‘Best Book of Fiction Written by a Woman Author’ category at the inaugural edition of Bhopal Literature and Art Festival. Sushila Devi Literature Award is constituted by Ratanlal Foundation and comes with a cash prize of Rs 2 lakh. The government of Puducherry has decided to ban the production, sale and use of single-use plastic products from March 1. To ensure the ban is effective on the ground both in letter and spirit, the government of Puducherry would be conducting a massive drive to create awareness among the merchants and the public on the necessity of the ban. Tamil Nadu had also announced the ban on single-use plastic from January 1, 2019. Prime Minister Narendra Modi was awarded first ever Philip Kotler Presidential Award which aims to spread examples of individuals and companies who create an innovative culture for the economic, social and technological advancements of an industry or a country. Philip Kotler, a professor of marketing at Northwestern University, Kellogg School of Management is also known as ‘Father of Modern Marketing’. The Award focuses on the triple bottom-line of ‘People, Profit and Planet’. India celebrates Army Day on January 15. Army Day is celebrated to salute the valiant soldiers who sacrificed their lives to protect the country and its citizens. It is in recognition of Field Marshal Kodandera M. Cariappa taking over as the first Commander-in-Chief of the Indian Army from General Sir Francis Butcher, the last British Commander-in-Chief of India, on 15 January 1949. The Union Ministry of Social Justice and Empowerment has drafted a five-year action plan for addressing the problem of drug and substance abuse in the country. The National Action Plan for Drug Demand Reduction (NAPDDR), 2018 to 2023, aims to employ a multi-pronged strategy to address the issue of drug abuse. It involves education, de-addiction and rehabilitation of affected individuals and their families. India and the five Central Asia nations on January 13, 2019 showed their support for the inclusive peace process in Afghanistan following the first ever India-Central Asia Dialogue. These five Central Asia nations are Uzbekistan, Kazakhstan, Kyrgyzstan, Tajikistan and Turkmenistan. The countries agreed to promote an inclusive Afghan-led, Afghan-owned peace process and reconciliation. The Deputy Chief Minister of Bihar, Sushil Modi will be heading the seven-member group of ministers (GoM) that will look into revenue shortfall being faced by the states after the GST roll-out and suggest steps for augmenting collections. The GST Council, headed by Finance Minister Arun Jaitley and comprising state ministers, had on December 22, 2018, decided to set up the group of ministers to analyse reasons for the shortfall in revenue collections by the states since July 2017. 1. Where is the Women of India Organic Festival 2019 being held? 2. When was the first Women of India Organic Festival organised? 3. Where was the Hunar Haat exhibitions inaugurated? 4. For which book Namita Gokhale was awarded Sushila Devi Literature Award? 5. Which state/UT recently decided to ban the production, sale and use of single-use plastic products from March 1? 6. Who has been awarded first ever Philip Kotler Presidential Award? 7. On which day Army Day is being celebrated in India? 8. On which day Army Day is being celebrated in India? 9. How may central Asia nations along with India participated in the first ever India-Central Asia Dialogue? 10. Who is the head of the seven-member group of ministers (GoM) that will look into revenue shortfall being faced by the states after the GST roll-out?